An old soul, fueled by nutrition, motivated by family, and driven to inspire others in an unpredictable world. It was hot tonight. I’m pregnant and the last thing I wanted to do was cook! So what did we eat for dinner? You guessed it! 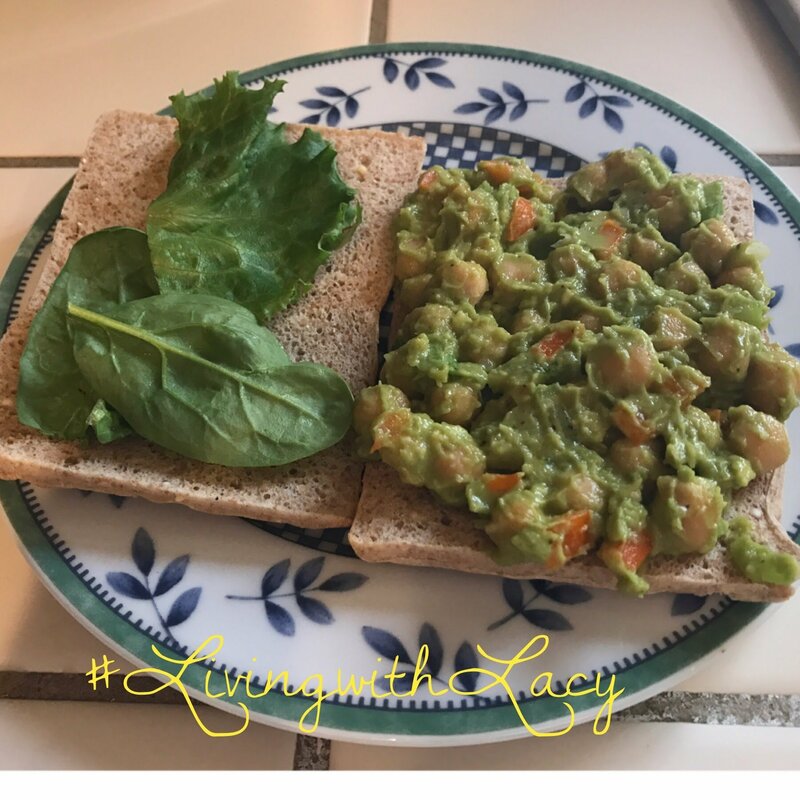 Avocado garbanzo bean salad sandwiches. If I was clever I’d come up with a better name for the recipe. Here’s the recipe, in case you’re looking for something quick and easy, yet satisfying! Scoop the avocados into a medium bowl and mash with a fork. Mix in the garbanzo beans (make sure water drains after rinsing them), sweet peppers, celery and garlic. Add the salt and chili pepper to mixture and stir well. 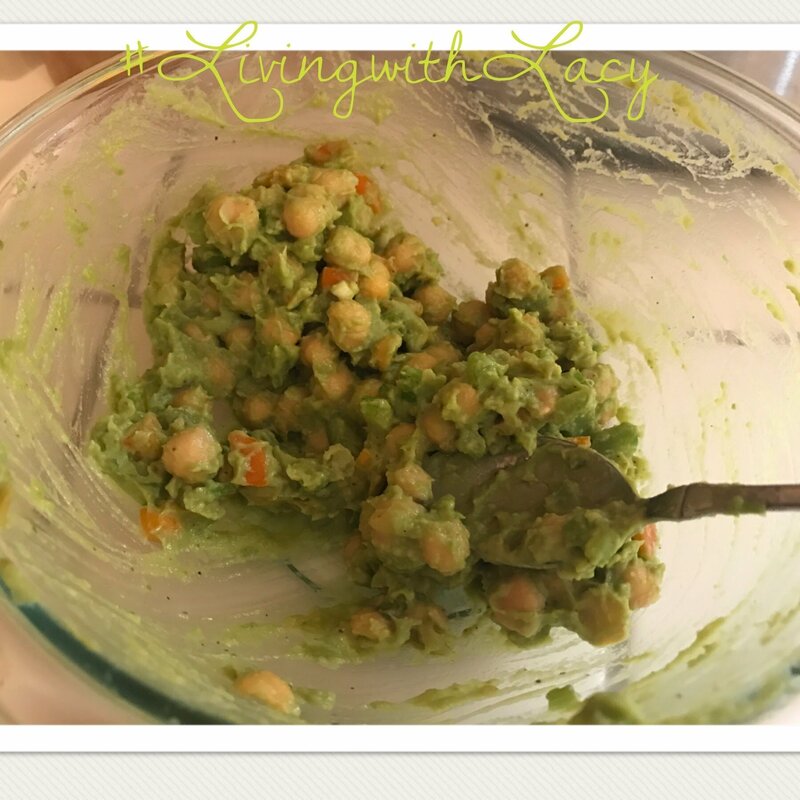 Once the ingredients are mixed (similar to a potato salad consistency), squeeze the juice of 1 lime over the mixture and stir again. Ta da! It really is that easy. You can eat this on a sandwich or on its own.